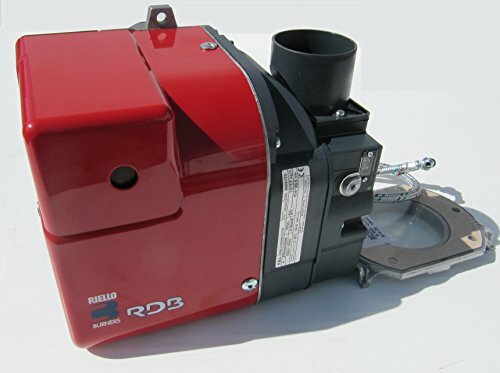 Riello RDB burners are distinguished by their small size in relation to their powerful output, which means they can be fitted to almost any boiler on the market, indoor or outdoor (286mm wide, 202mm deep, and 230mm high). Riello gas oil burner t15-21kW (50k -70k BTU). Bruleur fioul domestique / mazout | Bruciatore gasolio | Ölbrenner (Heizöl) | Quemador de aceite / gasóleo. The burner comes with an instruction manual, flange, gasket, and braided flexible hose. Riello kerosene burners are the no. 1 choice in the UK and are used in the majority of Worcester Bosch, Grant, Firebird and Warmflow boilers in the 21kW to 33kW range. Also used in MANY other types of oil-fired burners. 12 month warranty. In developing these burners, special attention was paid to reducing noise and to the ease of installation and adjustment. Riello have over 80 years of experience in design and manufacture. 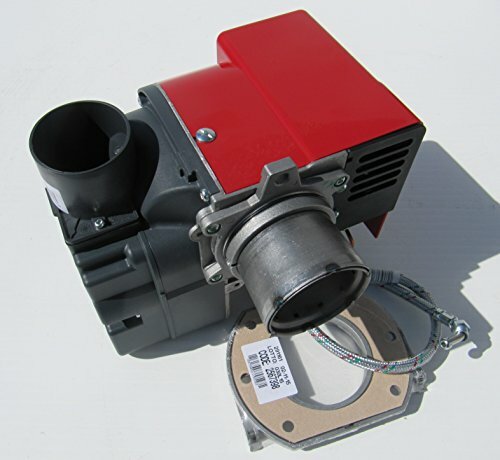 All the models are approved by the EN 267 European Standard. The burner comes with an instruction manual, flange, gasket, and braided flexible hose. Check local regulations: gas oil or diesel burners may be restricted to outdoor boilers with a conventional vertical flue (not a low-level flue). All the RDB burners are fired before leaving the factory.